From this block you’ll learn more about the more specific use cases which require JetEngine plugin. From this block you'll learn how to set the dynamic thumbnail image as the section's background using JetEngine plugin and Elementor PRO. First, let's create a new Taxonomy/Post type. In Meta Fields select the Media field type. Then save the changes. 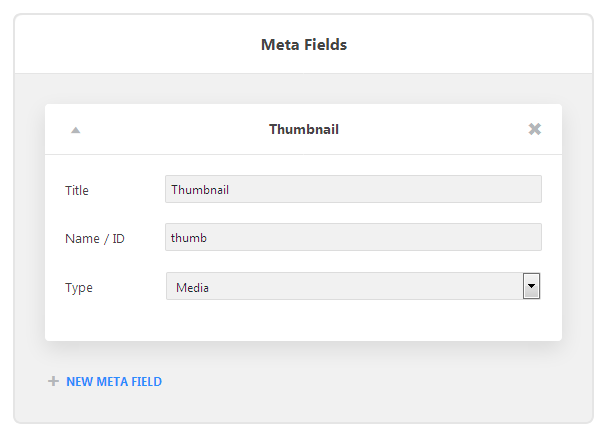 Note, that you can also add the Media meta field to the existing taxonomy or category using Meta Boxes. 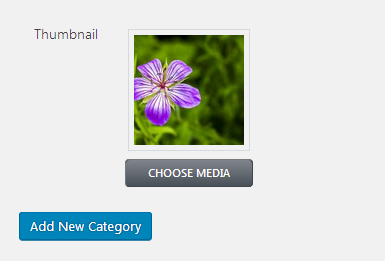 Add the thumbnail image to the needed taxonomy in the Media field from the media library or by uploading the image from your hard drive. Then click Update in order to save the changes. Add at least one post to the newly created term taxonomy. Navigate to Elementor > My Templates and here click Add New button. 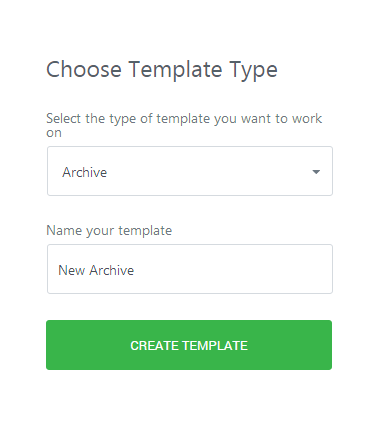 In Choose Template Type select Archive template. 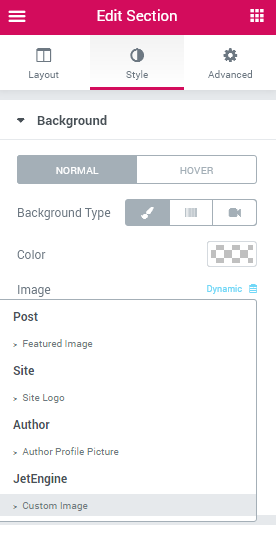 Add the title for the new template and click Create Template button to proceed. Please, note, that this option is available only for Elementor PRO. 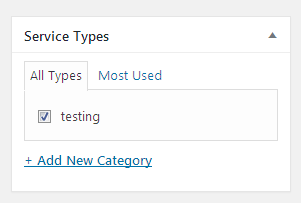 Add a new section and navigate to Edit Section > Style settings. In Background block select Classic background type and click Dynamic option for the Image istead of selecting one from media library. Select JetEngine > Custom Image from the newly opened dropdown. Open Settings block located in the bottom left corner of the editing page and open Preview Settings. 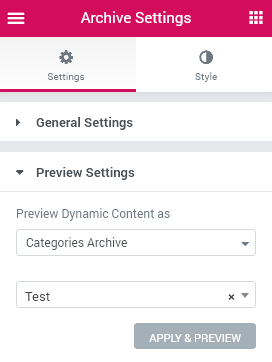 Here select the archive you want to display in Preview Dynamic Content as dropdown. After that type in the post / taxonomy title in the field below and click Apply and Preview button. From this block you'll learn how to display related posts in the terms listing using JetEngine plugin and Elementor. First, you need to create a new Posts listing. Then create a Term listing. Here you need to add a term title (e.g., with Dynamic Field) and insert a Listing Grid widget. Also, set the posts listing you've previously created for displaying. After that, to pull only the posts from this specific term you should set the Tax query, select the taxonomy, and in Terms block add the following macros %queried_term%.